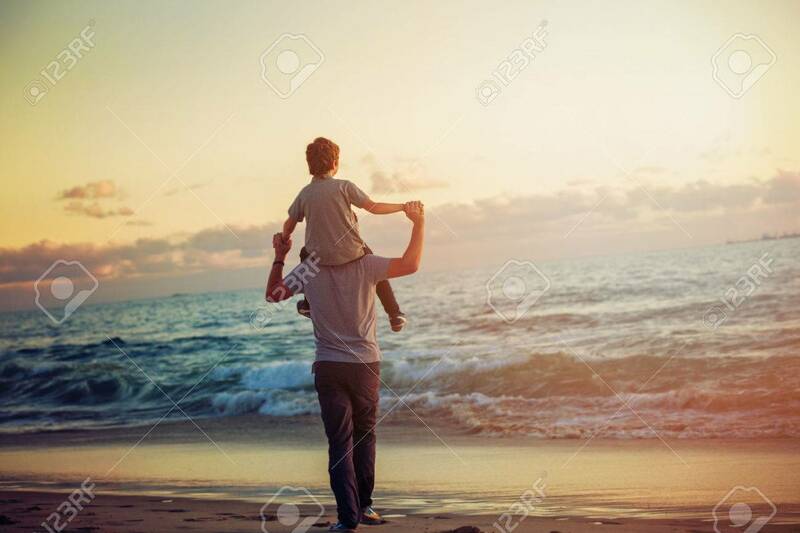 Happy Father And Son Having Quality Family Time On The Beach On Sunset On Summer Holidays. Lifestyle, Vacation, Happiness, Joy Concept 免版權照片，圖片，畫像及圖片庫. Image 41917526.